We've teamed up with Jessops to bring you the most perfect moments in classical music, captured with great photos. 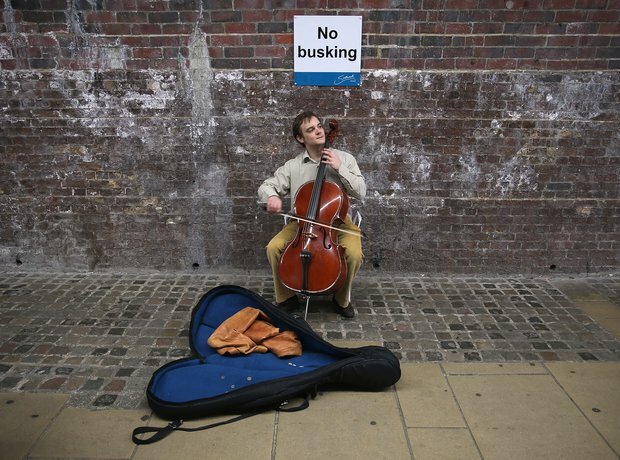 Standing up to the rules, a cellist busks near London's South Bank. Two legends, sharing a perfect moment - conductor Claudio Abbado and pianist Martha Argerich were famous for their musical collaborations, and here they're captured consulting before a recording session. An operatic legend, captured in full costume and fierce disposition. Mark Deliz and his son Sebastion, 3, pause at a piano underneath the Brooklyn Bridge in June 2014. In his dusky hotel room, someone had the presence of mind to snap the legendary violinist and conductor Sir Neville Marriner as he warmed up. Two string legends mucking around - thank goodness someone was around to snap this moment. Two legends from different walks of life at the same piano. An early picture of a classical legend. Violinist Itzhak Perlman is pictured in a frank, uncompromising way, laying bare the musician at work. Bless the creative cameraman who put himself in the line of fire here - beneath Rostropovich's cello bow could be a dangerous, exciting place. Edward Elgar was a pioneer when it came to recording his own works back when recording technology was in its infancy. Here he is with equally legendary conductor Adrian Boult, discussing their next move in one of their notorious recording sessions.